Attention Lenexa Homeowners, We Have An Incredible Offer For You! For the past 20 years The Sierra Group LLC has been purchasing homes for great cash prices. We buy in Nebraska, Florida, Missouri and now we are buying in the Lenexa area too! Learn about the benefits or a direct sale! You can be in control! If you’ve tried listing in the past, you’ll know that it take s a lot of patience, time and money. There are listing fees, agent fees, commissions, advertising costs, repairs, staging, upgrades, constant cleaning and zero guarantees on if or when it will sell. You may not get anywhere near your asking price if you haven’t priced your house correctly! When you choose a direct sale, you put the ball in your court. You decide when we close. You don’t have to worry about cleaning, staging or preparing the house for a sale. We do the work, so you can put your focus on other things! We are direct buyers who want to pay you with cash right now! No, that doesn’t mean we will hand you a briefcase, it means we are not using bank financing to buy your property. You can rest assured the sale won’t fall through, and that you will receive a timely closing. No financing means no red tape and no waiting! We are able to close in just a few days at a local title company or attorney’s office. A planned closing date means you and your family can plan ahead for your next step. You don’t have to deal with a property that has become a hassle. You don’t have to deal with threats of foreclosure, endless repairs or tenants who destroy your property. 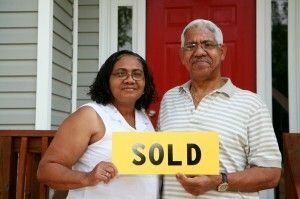 We will work with you to create a win-win situation that frees you up from a house that has brought you down! Fill out the form below to get started!